When Travis Touch: No More Heroes was shown during the Nindies Summer Showcase, there was a strong focus on retro gaming, which didn’t look anything like traditional No More Heroes gameplay. 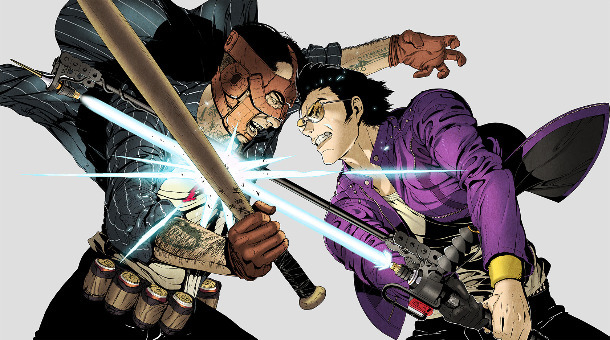 Here’s what the developer of Travis Touchdown: No More Heroes, Suda51, has to say about the gameplay of the collaboration title. Travis Touchdown: No More Heroes arrives exclusively on Nintendo Switch in 2018.